Are you constantly at odds with the world? Do you "go off" at the slightest provocation? Do you consider road rage a virtue? 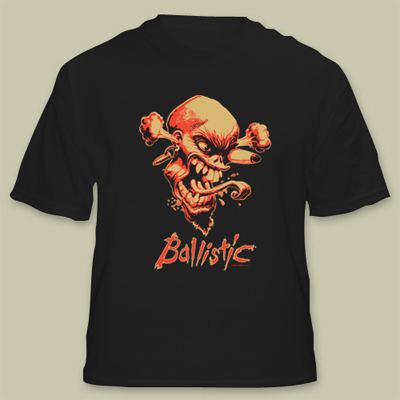 If you answered "yes" to any of the above, then express your reactive nature to the world with our dramatic Ballistic t-shirt. You'll exude class and style while giving those around you fair warning to keep away.